Celebrate your Birthday with a FREE healthy hotpot buffet for 7 days! 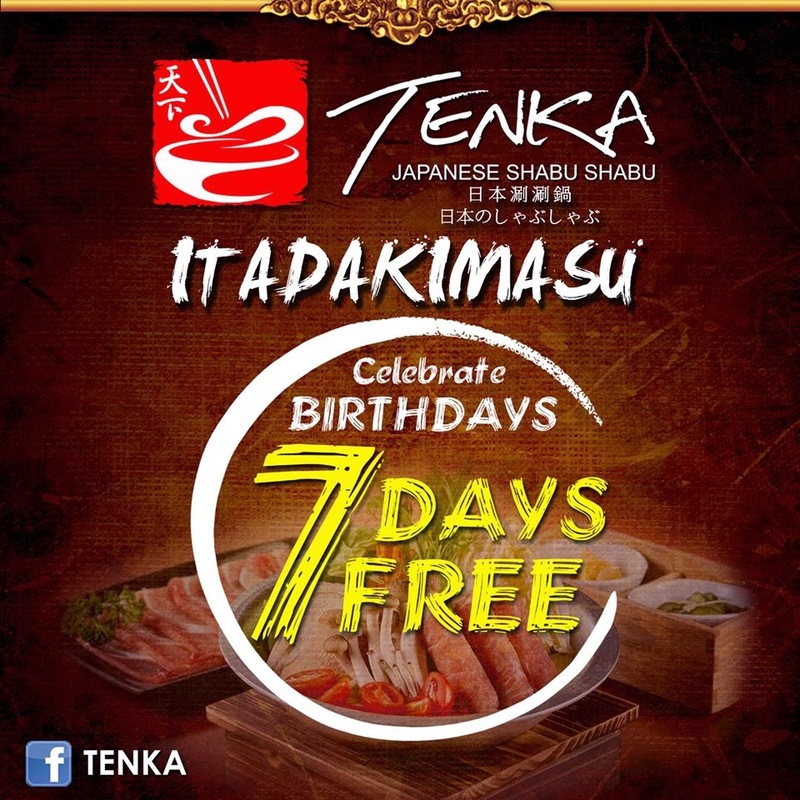 Check out Tenka Japanese Shabu Shabu Hotpot Promo for Birthday Celebrators. 1. Celebrator can avail of the Tenka Birthday Promo 3 days before, 3 days after and on the exact date of his/her birthday. 2. Birthday celebrators may avail of one (1) FREE buffet at Tenka Japanese Shabu Shabu branch. 3. To avail the birthday promo, the celebrator MUST be accompanied by 3 full-paying adult, rates without any discount/s. Rate is (1) Celebrator with (3) Regular rate to avail the promo, so it's 3+1. 4. Celebrator must also complete fill out the information sheet. -In case the child guest doesn’t have a government issued picture I.D., he/she may bring his/her birth certificate supported by his/her parent’s picture I.D. or his/her own picture I.D (school I.D.). 6. Promo is not valid with any other existing promotions. 7. Promo runs until December 31, 2018. Note: Buffet Rates may change without prior notice. 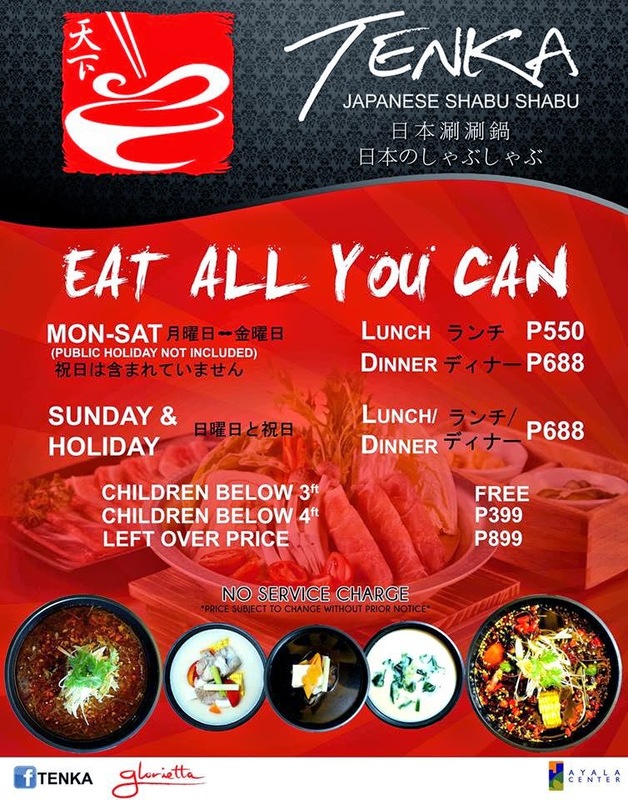 Tenka Japanese Shabu Shabu is located at 2nd Floor, Glorietta 4., East Drive Ayala Ave. Makati City. For reservations, please call (02) 551-7651 / (02) 552-2922.